Two Ulster clubs will play in the last 16 of Europe’s premier hockey tournament. 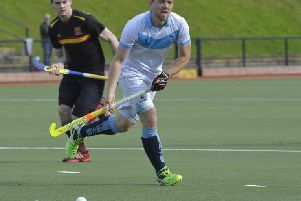 Banbridge dug deep to draw 3-3 with Belgian giants Royal Leopold at Havelock on Sunday and seal progression from round one of the Euro Hockey League. Bann beat PSG on Saturday, setting up Sunday’s all important tie. A draw was enough to see the hosts through and that’s what they got. Eugene Magee scored in the opening minute while Banbridge Academy joint-skipper Kyle Marshall netted twice. Those were enough, thanks to an absolutely top class display from goalkeeper Gareth Lennox, who saved a late penalty corner as Leopold tried in vain to nick Bann’s spot alongside Lisnagarvey in KO16 in Holland in April.